This Black and Green Halter Neck Sequin Maxi Dress is stunning! The sequin detailing is gorgeous and we love the halter neck style. This is a perfect formal maxi dress for special occasions! Approx. 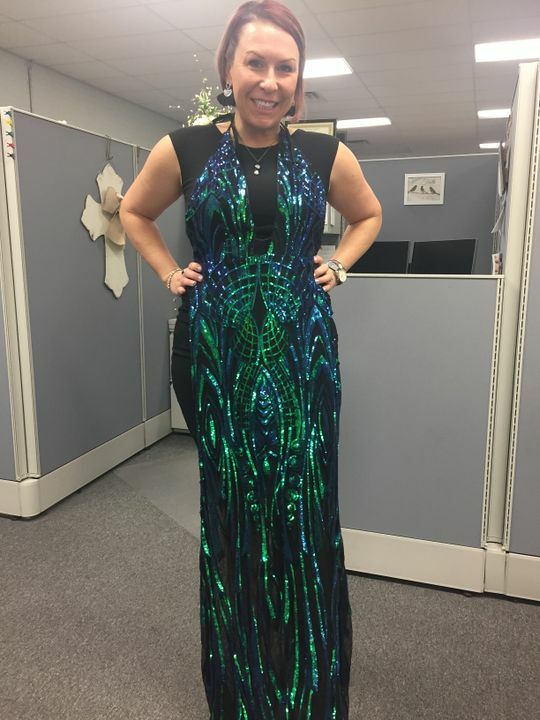 Length (shoulder to bottom hem): -Small: 62.5'' -Medium: 63'' -Large: 63.5"
Shannon Floyd S. Reviewed by Shannon Floyd S.
I got so many "wows" and compliments wearing this dress!! The color was gorgeous and it fit perfectly. There was a small part on the left hip area that I had to get a seamstress to cut because there was too much material, but it took her less than a minute to fix. This will definitely turn heads and make a lasting impression! 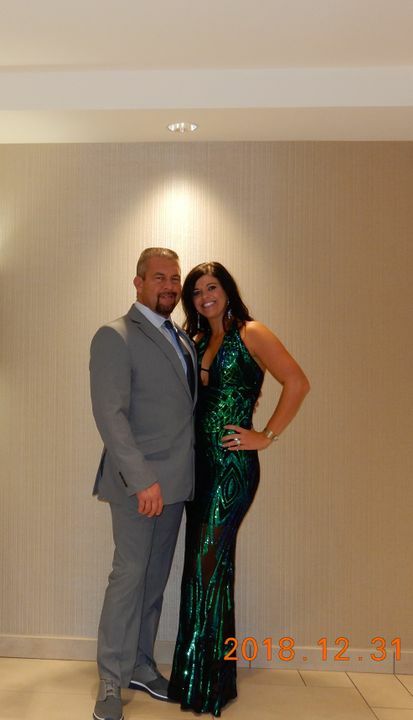 Felicia H. Reviewed by Felicia H.
This dress was show stopping for New Year’s Eve!